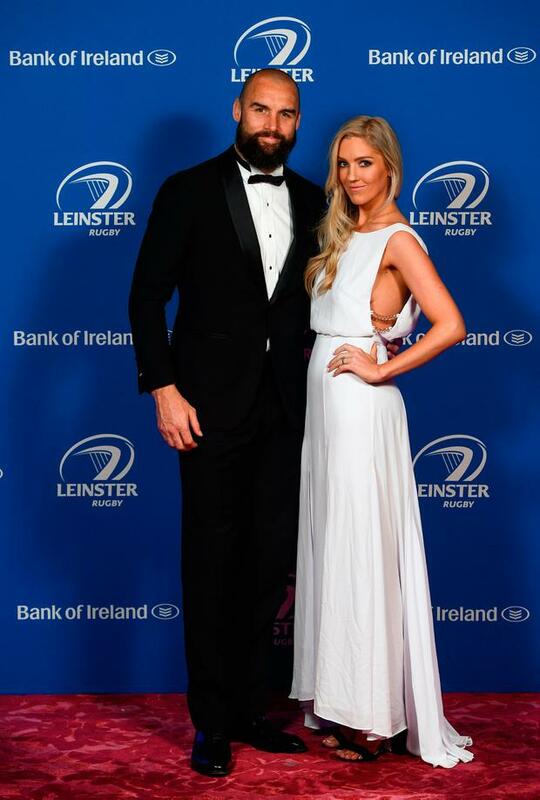 Last October, the night before Leinster played Montpelier in the Champions Cup, Scott Fardy said to his very pregnant wife, Penelope Austin, that if the baby came that night, it would be the worst timing ever. Of course, Penelope’s waters broke that night, and baby August Fardy was born just 13 minutes before his Leinster flanker father would have played his first European game with his new northern-hemisphere team. True, it was bad timing and Scott missed the match, but everyone was OK, and that was all that mattered. They’d had a baby, despite previously being told that Penelope would struggle to conceive. And there would be other games. Penelope and Scott brought August home to their apartment in Ballsbridge, where they had relocated from their native Australia only a matter of months earlier, and all was well. Except that it wasn’t. Penelope started having headaches, and returned to hospital in terrible pain. Doctors discovered quickly that Penelope had torn the arteries in her spine during labour. “It was from pushing with chin to chest,” she says, explaining that with everything else that was going on, she didn’t even notice it happen. “So I got separated from the boys and had to go the neurological ward for, like, four or five days. While Penelope was in hospital initially, Scott was at home with August. They had Penelope’s aunt visiting, who has been like a mother to her since her own mother’s death when Penelope was a teenager, but really, Scott had to learn quickly how to cope. Opposites, perhaps, but complementary opposites. Committed, driven people, they have separately achieved a lot in their adult lives, but together in the last five years, they have crammed in more than most. roller coaster, but neither seems exhausted by it. If anything, right now, they are ready for a new adventure. Scott has had almost a year to establish himself with Leinster and in Ireland, and now, no longer either pregnant or ill, Penelope is keen to kick off her musical career here. After talking to this pair, who are touchy-feely but also teasing and a little piss-taking together, one comes away with the impression that our encounter has been mostly about kick-starting Penelope’s career here. After all, the move from Oz to Ireland was relatively smooth and seamless for Scott. He came here and slotted into a rugby community and a world that he understood. The fundamentals of his life remained relatively the same, while Penelope’s world was utterly altered. Not only did she come here pregnant and then as a new mother, but she left Australia when her music career was flourishing. Now, settled into motherhood and restored to health, it is, perhaps, Penelope’s turn to make a go of Europe. X Factor and The Voice Australia. She lived and worked successfully in New York and LA, and before they left Oz, Penelope had worked with JJ Abrams on a track that appeared on all Australian screenings of the film Star Trek Into Darkness. Further, Penelope was starting to step out from behind the scenes and go centre-stage, and her song, Gem, snowballed after it appeared on Home and Away. Despite all of these strings to her bow, five years ago, when she caught Scott Fardy’s eye on social media, he had never heard of her. It started on Instagram, where they liked a few of each other’s pictures and, contradicting his nonchalant attitude, Scott sussed her out a little further. He knew they had a mutual friend in the Canberra Brumbies team — media manager Elliot Woods. Scott asked Woods about Penelope at training one day. “Elliot looked at me and said, ‘Nah, she’s too good for ya’,” Scott laughs. And, yes, he amusedly concurs, he kind of took this as a challenge. Scott says he hadn’t heard of Penelope, and she insists she was clueless about Scott and rugby. Scott blushes, though he claims it’s Irish sunburn. In the end, it was Scott’s quiet persistence that won over Penelope. After that date, Scott sent Penelope a text every day. Penelope went to visit Scott in Canberra and they fell in love very quickly, she says. Both had been single for a long time. In fact, she adds, Scott had never really had a girlfriend. Scott takes this sharing of information in his stride, which is impressive, and goes on to say that, for him, it was simply a question of the right girl at the right time. He knew Penelope was the right girl, so he went for it. That’s how he approaches life; you feel he takes an uncomplicated view, and doesn’t see the point of doing otherwise. 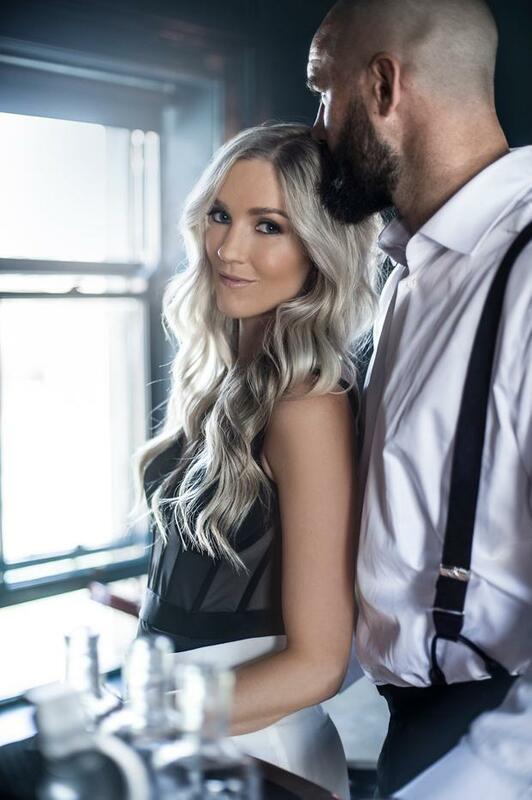 Scott and Penelope got married in Australia in December of 2016, when he had already agreed to come to play with Leinster. That wasn’t too difficult, apparently. Scott was coming here to a set-up that he knew and understood, but Penelope was plunging into the unknown and, by that stage, she was pregnant. Pregnancy was a surprise to Scott and Penelope. Due to severe endometriosis, she had been told that she was unlikely ever to conceive naturally. “We’re very grateful to have Augie because of that,” says Penelope. “And because I was told that I wouldn’t conceive without help, babies weren’t really on our radar when we were talking about coming over here. Scott, maybe characteristically, hadn’t worried about whether or not they would be able have a baby. He believed it would happen in time, and was laid-back about it. Penelope laughs, and admits she had most certainly worried about it, and she was thrilled but terrified to become a mother; what if it just spoiled everything, was her fear. “But I didn’t miss family and friends in Australia to the point it was making me sad,” Penelope says, adding that the wives and partners of the other Leinster players were very good and kept up the contact and connection through all her postnatal illness, too. It wasn’t until late this spring, when Penelope really emerged from that time of illness, that she felt the itch to work again. to basing myself in the northern hemisphere,” Penelope says. “But not long before we left Australia, I was working with a label and finally focusing on being the artist, after writing for so long for other people. So. I recorded and travelled the world with that music, and that was cool. And then I was pregnant and we’d signed this contract over here, and they were, like, ‘Oh my god, we’re ready to go, but now you’re going to have a baby and move to Ireland’. Penelope has been back and forth to London and has had meetings with her label, and has connected with people in the music business here. She met “the Snow Patrol boys” recently and would love to cross paths with them professionally again in the future. came of it. In January, I was part of this songwriting camp that was coordinated by a group of guys in the music industry here, who brought together artists from all around the country. I was an artist or topliner in the session. I was working with Mark McCabe and a female artist from The X Factor, and we ended up writing for her. They both laugh about the evenings Scott came home from training in the last six months to find Penelope talking non-stop at him for an hour. She might not have talked to another adult since he left that morning, she laughs, adding that she’s not even sure where she found her “material” after a day with an infant. “Now I’m back and I’m probably over-filling our calendar with socialising and travelling and everything,” she says, and Scott nods, but happily. He’s happy that she’s back, and keen to see Penelope make her mark in the old world where they’ve made their new life.